Sunday, August 26 from 10:00 a.m. until 6:00 p.m.
After the overwhelming response to last year’s debut event, JAPAN Fes. presents its Second Annual Summer Matsuri! 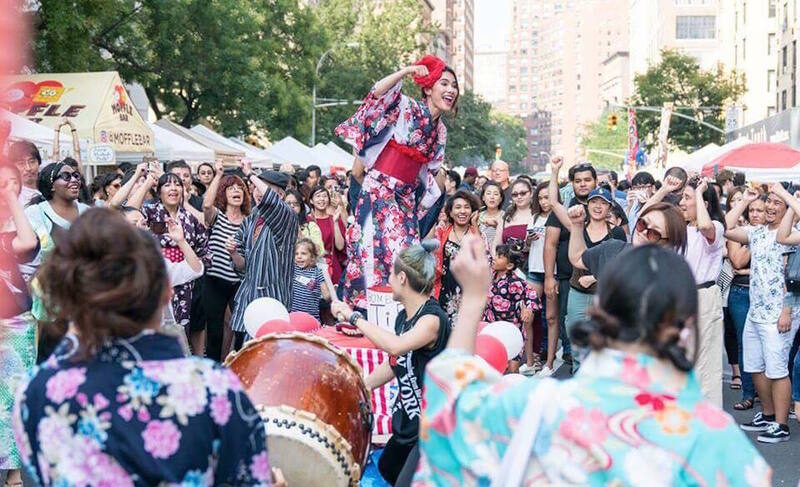 Head to the East Village for an all-out summer celebration with Japanese performances and activities such as taiko drumming and nagashi somen, or flowing cold noodles. Nagashi somen is a traditional summer activity where participants use chopsticks to try to catch a batch of cold somen noodles flow down a bamboo water slide. Test your chopsticks skills! There will also have delicious food, desserts, drinks, and snacks. You can also receive a free Calpico (Japanese non-carbonated soft drink) if you register at the JAPAN Fes. Eventbrite page. Please note that you do not have to register to attend the event; this is only to receive the free drink. Summer is nearing its end, but we can still celebrate in Japanese style at this festival in the East Village. Throw on your yukata – cotton kimono worn in the summer – and enjoy the sights, sounds, and flavors provided by Japanese vendors. You’ll feel as if you’ve been transported to Japan! JAPAN Fes. is an organization whose goal is to bring together people of different cultures together through Japanese food, music, and art. For more information, please visit their website.